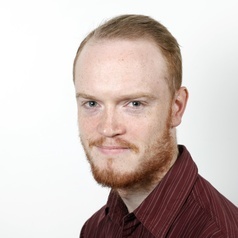 Dr Luke McDonagh is Senior Lecturer in Law at City, University of London. Before taking up this position in September 2015 he was a Lecturer at Cardiff University Law School from 2013-2015 and LSE Fellow in the Law Department at the London School of Economics (LSE) for the period 2011-2013. For the academic year 2014-15 he was a Visiting Scholar at Waseda University Law School, Tokyo, Japan. Luke holds a PhD from Queen Mary, University of London (2011), an LLM from the London School of Economics (LSE) (2006-7) and a BCL degree from NUI, Galway (2002-05). Luke's research primarily involves using empirical and theoretical insights to shed light on interesting (and sometimes controversial) aspects of intellectual property law, such as the interplay between property owners and users in free-sharing creative environments (such as those of theatre, open-source software and traditional music). His PhD research (2007-11) focused on the empirical analysis of the relationship between Irish traditional music and copyright using interviews and survey data gathered from traditional musicians. He recently completed an article - now published in The Modern Law Review - investigating copyright in the world of theatre, whereby I interviewed playwrights, directors and actors about the relationship between their theatrical practices and the norms of copyright. He also conducts quantitative and qualitative empirical research in the area of patent litigation. His recent article on trade marks, brands and anthropological marketing was published in the Journal of Law and Society in December 2015. His first monograph was published by Edward Elgar in July 2016 - European Patent Litigation in the Shadow of the Unified Patent Court. In the past he has written comment pieces for The Guardian and Dissent Magazine, as well as a number of law blogs.